At Testo, we specialise in high-performance testing and measurement technology. This means our products have a massive range of uses – today, we’re looking at one of the most exciting. 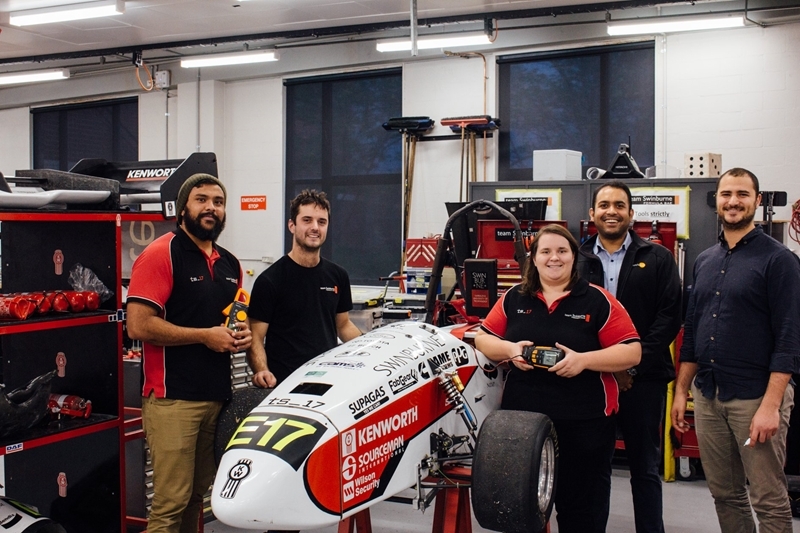 Team Swinburne is a group of like-minded engineers from Swinburne University who, once a year, test their custom-crafted electric vehicles against other universities in a challenge of engineering skill, business nous, design talent and innovation in the Formula SAE. It’s a competition filled with prestige, sponsorship and massive career opportunities – and Testo helps give Team Swinburne a cutting edge. We spoke to the team’s Jasper Koope to find out more. “Once a year, the Society for Automotive Engineering (SAE) hosts the Formula SAE, a global competition for tertiary engineering students,” Jasper explains. It’s a massive competition – Team Swinburne alone includes some 50 to 60 students split into six or seven teams, each with their own project leaders and designated tasks. The car has to perform just like a mass-produced formula vehicle would, and that’s no easy feat. The development of an electric vehicle for the Formula SAE contest is a process of constant evolution, with the previous year’s design and ideas being refined for the subsequent entry. With a typical test drive date in September, this means Team Swinburne are creating a racetrack-ready car, often from scratch, in as little as nine months. Insaf Faisal, Ryan Wise, Danielle Gilmartin, Praj Perera ( Testo Australia, Marketing Manager), Omar Benmansour. Such a good advantage, in fact, that Jasper believes Team Swinburne has a real chance of winning the overall title. By ensuring consistent high performance in their electric vehicle, their SAE entry can perform at its peak both in testing and during the competition. In such a competitive environment with so much at stake, it’s critical that teams have the best measuring instruments available. By partnering with Testo, Team Swinburne have – in their own words – given themselves an edge over the competition. To find out more about what our product range is capable of, get in touch with our team – and best of luck to Team Swinburne this year!